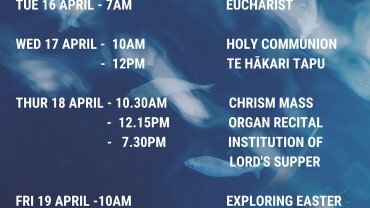 In our Church Calendar we mark this Sunday as Te Pouhere Sunday, which celebrates our life as a three Tikanga Church: Maori, Pakeha and Pasefika in this our Anglican Church Province of Aotearoa, New Zealand and Polynesia. On this day we celebrate our unity as three Tikanga in one Province and we celebrate our unity here in the South Pacific, a unity which knows no boundaries of race, language, politics or tradition. We celebrate our unity which transcends our differences. For me this is an endearing feature of our Anglican Church and of the world-wide Anglican Communion. In my life I have been well involved in the life of ten Anglican Parishes, nine here in New Zealand and one in Tonga, St. Paul’s, Nuku’alofa. From my experience I can tell you that each of those ten parishes was distinctively different from all the others, whether it be in the worship style, the congregational make-up, the theological flavour, the social life, the community interface; yet all held strongly to their being a part of the Anglican Church. Their unity transcends their differences. 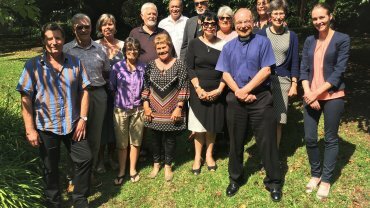 What we can celebrate in our three Tikanga Church this year is the strength of our unity as was so clearly shown at the recent General Synod held here in New Plymouth. I believe that 26 years since launching this waka and plotting our course we now have built a really strong foundation as a Province and our Church will go forward strongly and rapidly, witnessing in our many lands, to the faith that binds us. The importance of having a strong foundation was spoken of by Jesus in the Gospel for today. Hearing those words of Jesus always brings to mind for me the experience of twice daily walking past a building site on Jervois Quay, Wellington, over the course of three months, as I commuted to and from my holiday job whilst at University. What was fascinating about this particular building site was the depth they dug down to foot the foundations, and the fact that they had to have a pump working night and day to keep the sea water that seeped in at bay, because of course Jervois Quay is all reclaimed land. It took them all of those three months I passed by to get the foundations set. They must have done a good job of it, as that building is still standing unlike a number of newer buildings that have had to be demolished following the Kaikoura earthquake. 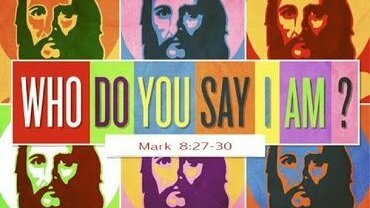 Jesus of course was not only speaking literally, but also figuratively, challenging us to firmly base our lives on his teachings and to demonstrate it by our actions. I was challenged to reflect on how our actions and teachings in this day and age best reflect those of Jesus on hearing this week of the prosperity gospel televangelist, Jesse Duplantis who told his followers, that if Jesus was in the world today he would probably pass on riding on the back of a donkey: "He'd be on an airplane preaching the Gospel all over the world,” said Duplantis. And Duplantis believes Jesus wouldn't exactly settle for 76 centimetres of legroom flying economy class, no Duplantis said He would choose nothing less than the Falcon 7X, a private jet that nears the sound barrier, but also has noise-limiting acoustic technology, a bluetooth-enabled entertainment centre and an optional in-flight shower and costs NZ$77m. So Duplantis wants that model of private jet to add to his fleet, which already consists of three other private jets. He preaches the prosperity gospel, which says God shows favour by rewarding the faithful with earthly riches. Giving money to pastors and their ministries, he says, is a sort of investment. 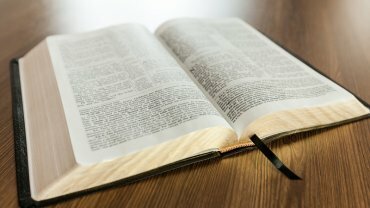 How do we respond to this will the test I believe we need to apply on hearing any preaching or teaching is what I call the ‘Jesus Test’; which asks how would Jesus stand in the light of this teaching? Firstly, let’s remember that Jesus in the Gospel accounts is only described as riding a donkey once and that was specifically done to make a clear point about who he was and what he was doing, namely the King coming in peace. In fact, Jesus walked virtually everywhere, including that notable occasion when he even chose not to take a boat across the lake and walked across the water. Secondly, if he was here on earth in this day and age and he chose to fly, I would assert that he would most definitely fly economy class, so that he could spend time talking and interacting with and healing his fellow passengers. Just as he did when he walked around the Holy Land and encountered the woman at the well, Zaccheus up the tree, the widow whose only son had just died and so on and so on. 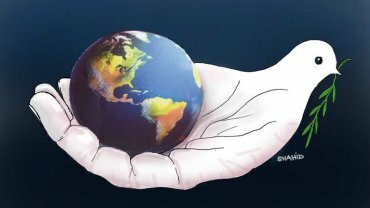 When we consider the prosperity gospel generally what does it say about Jesus? It disparages anyone in Jesus’ position, saying that he is not in favour with God, for Jesus had no possessions beyond the clothes he wore. He had no money, having to ask for someone to give him a coin so that he could answer the question about paying taxes to Caesar. When he did wish to ride a donkey he had to borrow one. When he needed a room to host the Last Supper with his disciples he had to borrow it. Then when he was killed he was laid to rest in a borrowed tomb. So do we disparage Jesus or do we disparage the theology that says he was not in favour with God? Foundationally I am with Jesus here and a minimalist life-style, but should you be in favour of the prosperity gospel theology, I don’t need a private jet, however an Aston Martin DB11 Volante would go down really well.